This report provides an analysis of the condensed financial statements of the 10 largest Central Valley Project (CVP) irrigation contractors in the San Joaquin Valley (Valley). The 10 were selected because of their size measured by CVP water deliveries, relative to both aggregate CVP deliveries in the Valley and for all of California. The report includes, for those contractors, a summary of those financial statements for eight years, respective net capital repayment obligations, and acre-feet (AF) of water delivered. 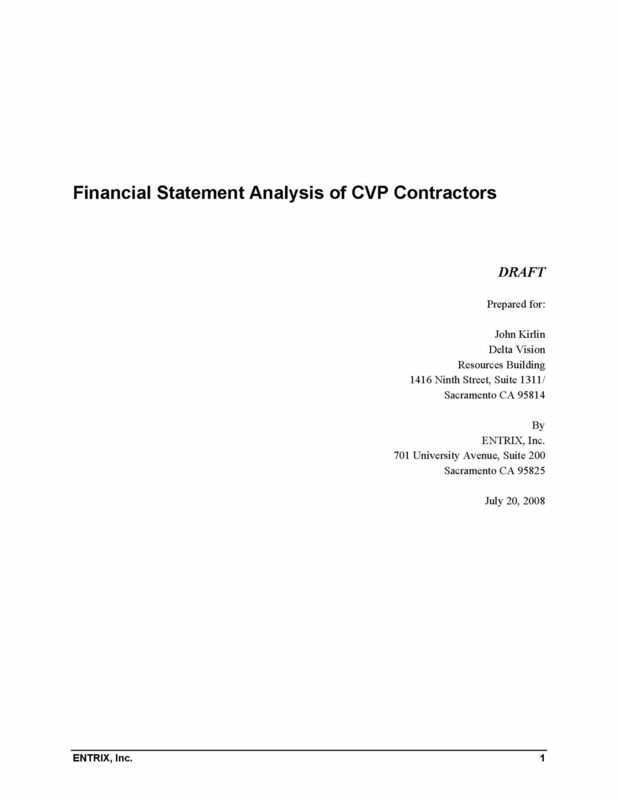 This is the third of several written reports which ENTRIX will complete relative to CVP Financing and Repayment Issues. Subsequent reports will include an analysis and discussion of the generation and distribution of hydroelectric power from CVP facilities and a comprehensive document summarizing revised forms of all reports submitted. • A package of seven policy Recommendations intended to lead to a new state policy for meaningful, measurable improvement in groundwater management within realistic timeframes. 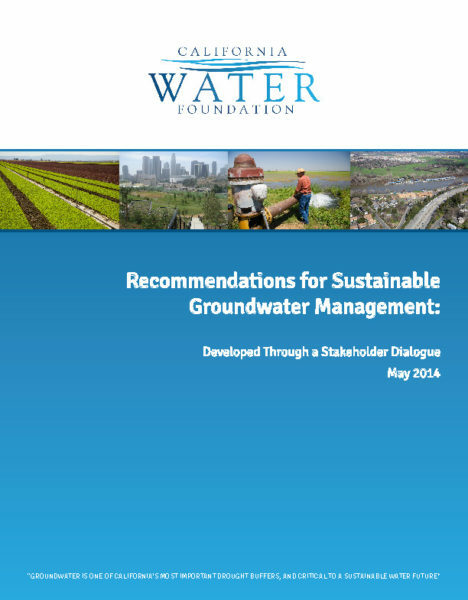 The Recommendations in this report reflect the best judgments of CWF about what is needed to achieve sustainable groundwater management while keeping decision making primarily at local and regional levels. CWF remains committed to a constructive public discussion about this critical issue and, ultimately, to meaningful legislative and policy actions. 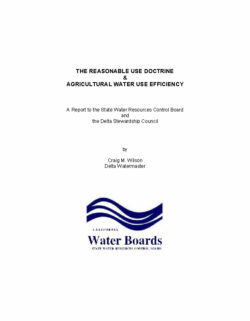 The purpose of the report is to review the breadth of the Reasonable Use Doctrine, which can affect all water uses, including urban, hydropower, recreation, environment, and agriculture, and then to focus on how the Reasonable Use Doctrine can be used promote efficient use of water in the agricultural sector. The underlying premise of this report is that the inefficient use of water is an unreasonable use of water. Accordingly, the Reasonable Use Doctrine is available prospectively to prevent general practices of inefficient water use. Indeed, the Reasonable Use Doctrine, as set forth in the State Constitution and California Statutes is broad and inviolate in scope. 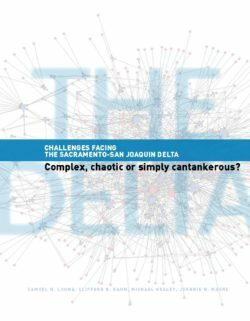 As interpreted by case law and administrative decisions and used to its full potential, it can comprehensively address the inefficient use of water in California. 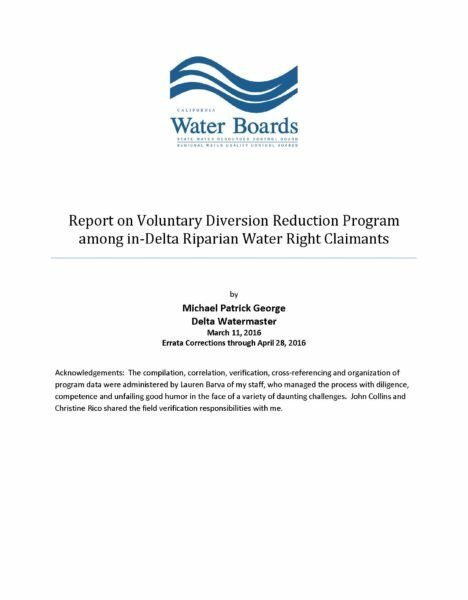 Facing a fourth consecutive year of drought in 2015 and consequential threat of curtailments, farmers in the Delta proposed a voluntary program to significantly reduce their surface water diversions during the critical summer growing season. This is a report describing the context, origin, objectives, regulatory framework, implementation and results of that program.